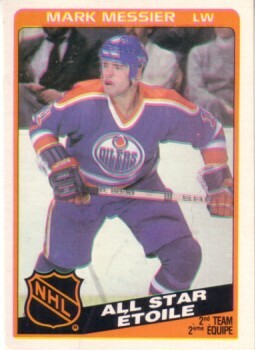 1984-85 OPC card of former Edmonton Oilers superstar Mark Messier (#213). Has printing flaw (appears out of focus) but otherwise perfect. ONLY ONE AVAILABLE FOR SALE.